Changes to state nomination for skilled visas in Tasmania and the Australian Capital Territory have left thousands of international students vying for Australian permanent residency in the lurch. During recent months and years, a large number of prospective permanent residents - particularly international students from the Indian subcontinent - moved to Tasmania and the ACT for a relatively easier pathway to permanent residency. But, the latest set of changes, including increased work experience in Tasmania and closing down of occupations in the ACT, has sent the visa aspirants scurrying for alternatives. Tasmania has jacked up the work experience requirement to six months from previous three before an applicant is sponsored for a provisional regional skilled visa (489) and skilled permanent nominated (190) visa. The Tasmania state capital of Hobart from Mt Nelson. The ACT has suspended some occupations, including Accountants and IT professionals. It has also closed state nomination for visa subclass 190 for overseas visa seekers, even those with close ties to Canberra. Jujhar Bajwa from Bajwa Immigration Consultants in Melbourne says many of his clients are extremely worried due to these changes. 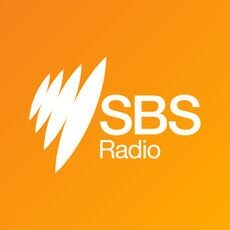 “They [visa seekers] moved from Melbourne and Sydney to Tasmania and ACT, worked hard in order to fulfil one set of requirements hoping that they will get the state nomination, and now suddenly they have another set of requirements to fulfil," he told SBS Punjabi. “Many of them are with young families, they moved halfway across the country and they are now worried about their future in Australia." State and territory governments in Australia run their own immigration program and can nominate visa applicants to fill the skill gaps and meet labour demands. Such a nomination carries additional points for immigration. Many visa seekers, including international students, began heading to the ACT and Tasmania as a squeeze in the skilled visas was felt after the Department of Home Affairs last year merged a new visa stream exclusively for New Zealand citizens residing in Australia, with the Skilled Independent visa. Under the New Zealand stream, 10,000 visa places are reserved for Kiwi residents of Australia, which effectively means a reduced number of visa grants to international students and overseas applicants in the skilled independent streams. Applicants and migration agents are further concerned about the government’s decision to increase the minimum score on the general points test to 65 from previous 60 for applying for skilled visas. “It’s a heartbreak for many applicants who thought 60 points is enough for their bid to PR [Permanent Residency],” said Rohit Mohan of Lakshya Migration. “But given the competition and fewer places available it’ll get even tougher for the current and new applicants."